Cathy Dodge Smith, Ed. D. is a licensed Davis Facilitator and Davis Autism Facilitator/Coach. She is also the founding president of the Davis Dyslexia and Autism Facilitators’ Association of Canada, a former president of the Learning Disabilities Association of Canada, and a recipient of the Canada Volunteer Award Certificate of Honour and the Canada 125 Award. Théano Panagiotopoulou is a Davis Dyslexia Correction Facilitator and a Davis Autism Facilitator/Coach. 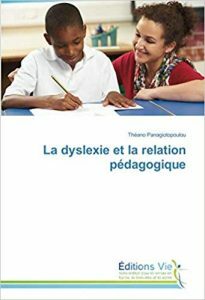 She earned Master’s degree in education from University of Paris 8 with a thesis focusing on dyslexia and the relationship between teacher and student. She was also a participant in the international Infinitus project, focused on sharing knowledge and innovation geared to dyslexia. Ioannis Tzivanakis is a Davis Specialist and Workshop Presenter, and co-director of Davis Lernverband. He studied linguistics and philosophy of language at the University of Bremen, focusing on semantics, consciousness research and wholeness. This book is the work of four Davis Facilitators, Carol Valet, Carol Nelson, Jennifer Delrieu, and Claudine Gardères. Two are mothers of dyslexic boys and two taught English as a second language. 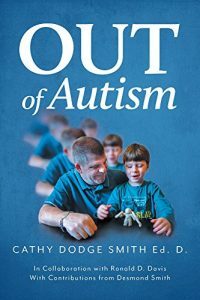 The book details the personal experiences of each of the facilitators, with their own children and students, and in providing the Davis program. Richard Whitehead is the co-director of Davis Learning Foundation and is a licensed Davis Specialist and Workshop Presenter. He is also the Special Educational Needs Coordinator at anindependent secondary boarding school in Worcestershire, UK and is a licensed Specialist SpLD Teacher Assessor. An Oxford-educated linguist with a working knowledge of several European languages, he specializes in multilingual learning disability assessments for non-native speakers of English in the UK. Richard is author of a popular fifteen-part e-mentoring course for teachers and parents of struggling learners which shares the same name as this book. The course is offered free of charge – see www.whytyrannosaurusbutnotif.com for immediate enrolment. ‘Why Tyrannosaurus But Not If?” takes as its starting point a curious phenomenon: the mistakes made by many dyslexic readers on small, common words. 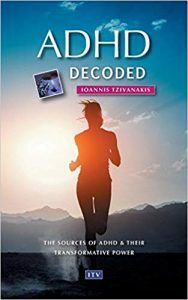 Drawing on a wide range of knowledge and research, and with especial regard to the work of Ronald Davis, this is a book of know-how about dyslexia that empowers teachers, parents and dyslexics alike. 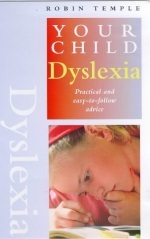 Compelling insights into the workings of the dyslexic mind are coupled with proven practical strategies, exemplified through scripted examples of teaching modules. This book will help anybody to learn their times tables – but especially the 6, 7 and 8 times tables. Most dyslexics are picture thinkers – and therefore visual learners. Learning by rote, as most students remember the times tables, does not come easily to them. In a practical and logical way, the author provides a guide that enables all learners to remember their multiplication facts. Sue Hall is a licensed Davis Facilitator in North Vancouver, Canada and the founder of The Whole Dyslexic Society. 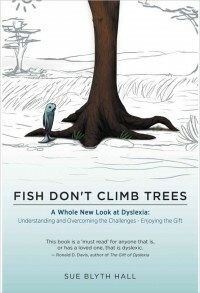 Fish Don’t Climb Trees relates the author’s own experiences growing up as student struggling with dyslexia, and provides helpful guidance on teaching and parenting dyslexic children. Barbara Hoi’s adaptation of the classic children’s novel, The Secret Garden, is designed to as a companion for Davis Symbol Mastery. The book provides a narrative structure and reinforces the practical aspect and the goals of word mastery, as well as providing continued motivation as the story progresses. The Right Brain for the Right Time relates stories from the author’s practice working with dyslexic children, explores the many talents associated with dyslexia, and is full of grounded, practical advice and tips and suggestions. 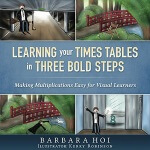 Author Barbara Hoi of Sydney, Australia was a licensed Davis Facilitator and Davis Autism Facilitator/Coach from 2004 to 2017. Abigail Marshall is the parent of a dyslexic son, and a co-founder of Davis Dyslexia Association International. 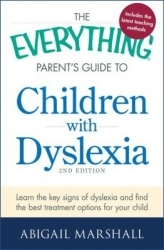 In this book, now in its second edition, she provides a comprehensive overview of the symptoms and likely causes of dyslexia, the process of learning to read, a variety of educational and therapeutic approaches, and the school IEP process. 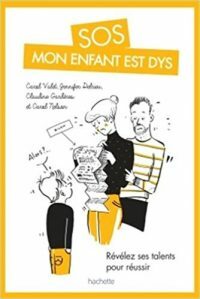 The book also contains practical suggestions for parents to help with homework and other school problems. 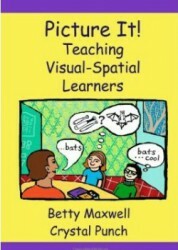 Davis Facilitator Crystal Punch teamed with educator Betty Maxwell of the Gifted Development Center to write this book geared to teachers and homeschoolers. This illustrated book is full of practical tips and advice for working with students who learn best through visual or hands-on activities. The book contains suggestion for a wide range of activities and school subjects, such as math, writing, and organizational skills. Kelley Ann Attebery is a parent who worked to change the laws of her home state to require that children be screened for dyslexia. Following her own daughter’s success with a Davis program, Kelley trained to become a Facilitator herself; she was a licensed Davis provider from 2012-2015. 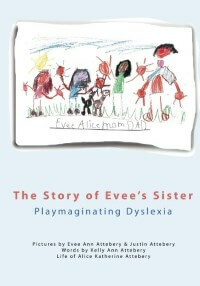 The Story of Evie’s Sister is a children’s book which describes the impact of a younger sibling’s dyslexia and the journey to get help, based on the author’s own experience. This pocket-sized book by Davis Information Services Director Abigail Marshall provides an easily referenced overview of educational issues related to dyslexia. Chantal Wyseur is a Davis Facilitator in Belgium. 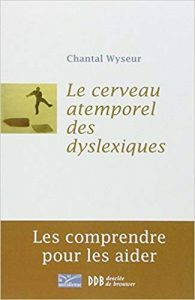 In this book, she explores the dyslexic perception of time and the interplay between Davis theories and the mental management methods of Antoine de la Garanderie. Robin Temple is the director of Davis Dyslexia Association – Nederland, and a former Davis Workshop Presenter. 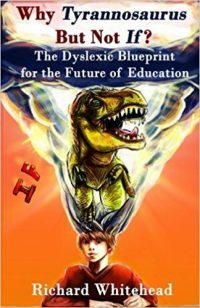 This book provide parents with a clear perspective on dyslexia and contrasts traditional approaches to remediation with the more dyslexic-friendly Davis approach.